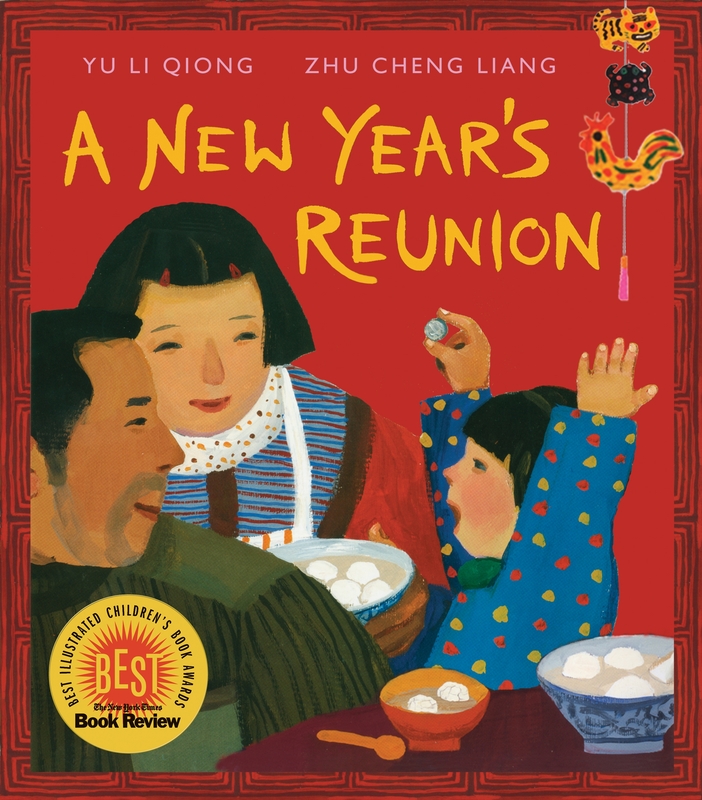 This mini-unit will incorporate a picture book illustrating how a family from China celebrates the Lunar New Year. That book will then be compared to others and lead into several writing and art projects. For a cross curricular unit, these activities could be coordinated with classroom teachers. This lesson will be presented over a number of weeks in art class to second grade general education classes. be able to create a family portrait using markers and/or colored pencils that shows their own family unit in a traditional or celebratory setting. explore the meaning of a family unit. compare the traditions of a Lunar New Year celebration to holiday traditions that they celebrate with their own families. compare this story with a companion book about celebrating the Chinese New Year in the United States. write a story about a family celebration inspired by their portrait. Who makes up a family unit? What are some of the traditions shared by family members? What are the importance of holidays and how do they bring families together? Materials: The space could be either the art room or classroom tables/desks. Materials needed would be white, colored and metallic paper, pencils, markers, scissors, cardboard and glue. Resources would be the books, video and sound clips, and sample projects for student examples. The main lesson would be the creation of a family portrait in marker after reading the book. Dialoging about the definition of family and separation from family members could be followed by the reading of the companion text (see below) and further discussion of family. The teacher could project a Venn diagram on the board to have students come up and list similarities and differences between the two books. If a projector is not available, students could write on copies of the diagram and the group could then discuss. Video clips could be shown for real life examples of the holiday. Students would then learn about drawing family members in a grouping as a portrait using shapes to help. After drawing their family unit, students would color in using markers. Students will be encouraged to use bright colors and possibly patterns or designs. A border could be made on separate metallic paper copying designs used on the cover or in the book. The patterns could be drawn with permanent markers and then glued around the outside of the portrait. Vocabulary would include: portrait, lines, shapes, colors, textures and patterns. After completion of their family portraits, students would write a story about their family and a family holiday. Students will be encouraged to include descriptions using their senses, such as the sights, smells, tastes, etc. encountered during their chosen holidays. Students will also be encouraged to describe emotions during that holiday. Students could also compare and contrast their holiday celebration with that described in the story. Students would be assessed by completion of the projects. Because of the significance of the coin between the father and daughter, students could make a “fortune coin.” Students would be given a precut cardboard circle and gold or silver metallic paper. They will trace the circle twice on the paper and cut and then glue the two circles on the top and bottom of the cardboard to make their metallic coin. Students would then draw their idea of the design on the coin by using a marker, pencil or pen, which will emboss the foil paper. Red envelopes holding money are an important part of the Chinese New Year. Students can fold and glue red paper and use gold markers or paint to make the Chinese symbols for good luck on the front after practicing on a tracing guide. Chinese lanterns can be made of paper. A collaborative dragon for movement could be made by students by decorating different sections of fabric or paper. The pieces can be attached to a head that would have separate parts decorated by the students that would be added onto a framework made by the teacher. This example of a collaborative dragon is for decoration, but can easily be paraded around for dramatic play by attaching several long dowels so students can hold and move the dragon over their heads.